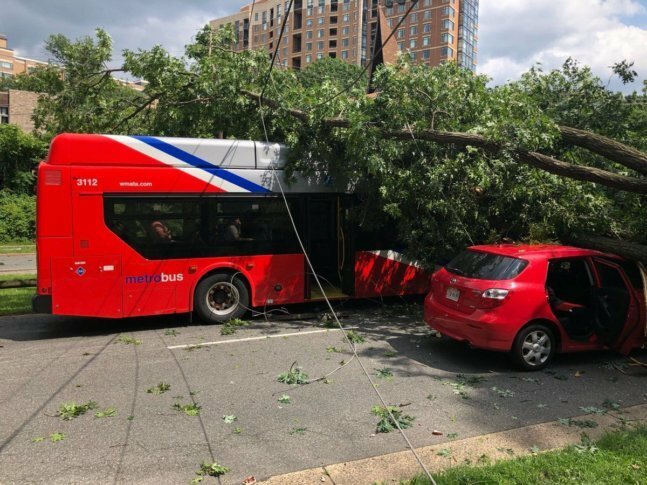 WASHINGTON — A tree uprooted and toppled onto a Metrobus in Alexandria, Virginia, Tuesday afternoon. The tree fell on the Metrobus in the 2200 block of Beauregard Street around 2:30 p.m. No injuries were reported, Alexandria police said. The tree brought down power lines and caused power outages in the area. The tree fell onto another nearby vehicle as well. The response and tree removal closed Beauregard Street at Fillmore Avenue for about an hour.